That’s a Trademark? It Sure Could Be! - Gottlieb, Rackman & Reisman, P.C. Publications > That’s a Trademark? It Sure Could Be! That’s a Trademark? It Sure Could Be! Whenever it is possible, we like to get out of the office and go see our clients at their place of business. Doing this helps us learn about their business, see what new products and ventures they are working on, and offer suggestions on how best to protect their entrepreneurial efforts. One of the things that we are interested in learning about is which of our client’s products are their best sellers, because those are the products must be protected against copying. Many times clients are surprised to hear us suggest trademark protection to protect the look of a particular product, usually if other forms of protection are not available. A wide range of things can function as a trademark, and a trademark can be a powerful form of protection. We find that our clients are often surprised by the scope of the subject matter that can be protected as a trademark, and for that reason a review of what can function as a trademark is in order. Everyone is familiar with word marks, such as GUND and CALVIN KLEIN for products and SBARRO and THE SHADE STORE for services. Clients are usually not surprised when we suggest registering these types of marks, but it is worth pointing out that from a trademark point of view the strongest marks are arbitrary marks that do not convey anything about the goods or services with which they are used—think GOOGLE, KODAK or EXXON. Descriptive marks which convey something about their goods or services can be protected if it can be proven that the public associates the mark with those goods or services. Word marks can include slogans, such as DON’T LEAVE HOME WITHOUT  it or YOU’VE GOT MAIL , personal names and sometimes geographic locations. It is worth noting that there can be different requirements for protecting different types of word marks, so securing protection is not always a straightforward proposition. Another type of trademark that most clients are familiar with is a symbol. These can range from a plaid design  to golden arches  to a swoosh  or an apple . It is possible for anyone to use a symbol as a trademark, regardless of the size of their business, so it is important to keep in mind that symbols can function as trademarks as much as words can. Sometimes it is the placement of something that functions as a trademark. Most would recognize a rectangular red tab affixed to the left side of a hip pocket  as denoting a brand of jeans. Other types of placement marks include the placement of a particular stone in a specific place on a ring  and the placement of a red cursor control device in a certain position on a computer keyboard . While they are not the first type of trademark that may come to mind, placement marks are nonetheless protectable. When we tell clients that a configuration can serve as a trademark, they usually do a double take, since configurations are not what most people think of when they think of a trademark (at least initially, people seeking to protect a configuration will think of a design patent). But legally it is well established that, in certain circumstances, configurations can serve as trademarks. It makes sense once you think about it; anyone seeing the Coca-Cola bottle knows what is in it, and the same can be said for anyone seeing the shape of a Hershey’s Kiss. 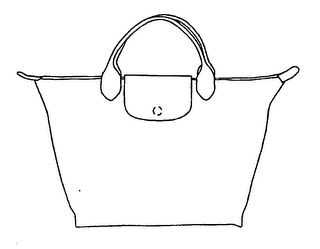 Other configurations that are recognized as trademarks include handbags , furniture , electronic devices  and toys . Configuration marks are not limited to product configurations. They can also include building configurations, such as the store used by an electronics retailer , a photo processing kiosk , a museum , a skyscraper  or even some or part of the interior design of a building, such as the interior of a fast-food restaurant  or a world famous museum . Color trademarks have been in the news a lot in recent years, with Christin Louboutin securing trademark protection for the color red on the sole of a shoe . He was not the first to obtain trademark protection for a color, following in the footsteps (no pun intended) of Tiffany , UPS , T-Mobile , and Barbie . 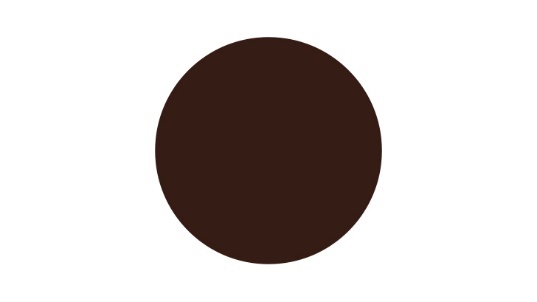 Protection for a color can be difficult to obtain, requiring a showing that the public associates the color with a specific source. It may seem obvious to someone like Homer Simpson, whose trademark “D’oh” is, well, a trademark , but sounds can also designate source. The NBC chimes , the roar of the MGM lion , or the Twentieth Century Fox fanfare at the beginning of a movie , the Yahoo! yodel , the giggling of the Pillsbury doughboy , and the “HO, HO, HO” of the Jolly Green Giant  are all recognized trademarks that, to most consumers, would indicate the source of a product. Even movements can function as a trademark. 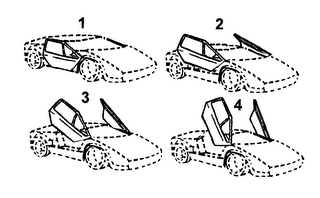 The manner in which the doors on a Lamborghini open  has been recognized as a trademark. Likewise, the Columbia torch-bearing woman and moving clouds  seen at the beginning of movies has also been recognized as a trademark. Even the march of ducks at a chain of hotels, starting with the rolling out of the red carpet, the appearance of the ducks and uniformed duckmaster at the elevator door, and the march of the ducks down the red carpet, up the steps, and into the fountain where they begin swimming  has been recognized as a trademark after some sixty plus years of performance! While it may not be the first (or even the second) thing clients think of when they think of a trademark, a scent can function as a trademark. The Trademark Office recently registered the smell of Play-Doh as a trademark , and other scents registered as a trademark include the flowery musk scent of a Verizon store (I’ve never noticed it) , the scent of bubble gum for Melissa shoes , and a cherry scent for synthetic lubricants for high-performance racing and recreational vehicles . This is not a comprehensive listing of all of the different types of trademarks (we haven’t touched on holograms, taste or feel). The important thing to remember with all of the different types of trademarks is that they all do the same thing: they all indicate to customers the source of the goods or services with which they are used (whether or not the customers know the ultimate source of those goods or services). Demonstrating that source indicating function is the key to obtaining protection for any type of trademark since without it a trademark is not a trademark, and it some cases that can be more difficult than in other cases. Securing trademark protection for many of the different types of marks described above is no easy task, and often requires presenting a significant amount of evidence and some advance planning. While there is little question that these less common types of trademarks are entitled to protection, making a convincing presentation of evidence requires working with counsel who are intimately familiar with trademarks and who know how to make a compelling showing that something functions as a trademark and is entitled to trademark protection. U.S. Trademark Reg. No. 1,151,224, owned by American Express. U.S. Trademark Reg. No. 2,628,523, owned by Oath Inc.
 U.S. Trademark Reg. No. 4,123,508, owned by Burberry Limited. U.S. Trademark Reg. No. 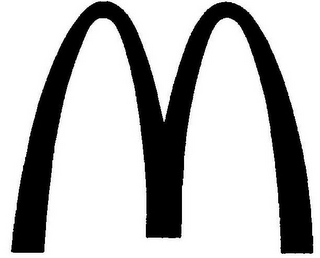 4,568,939, owned by McDonald’s. U.S. Trademark Reg. No. 3,218,672, owned by Nike, Inc.
 U.S. Trademark Reg. No. 3,679,056, owned by Apple, Inc.
 U.S. Trademark Reg. No. 171,283, owned by Levi Strauss & Co.
 U.S. Trademark Reg. No. 3,077,608 (canceled), owned by A. Jaffe, Inc.
 U.S. Trademark Reg. No. 2,363,544, owned by Lenovo. U.S. Trademark Reg. No. 3,064,959, owned by S.a.S. Jean Cassegrain. U.S. Trademark Reg. No. 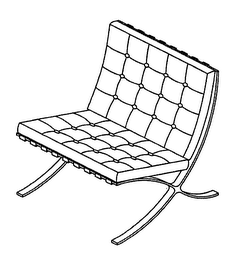 2,893,025, owned by Knoll, Inc.
 U.S. Trademark Reg. No. 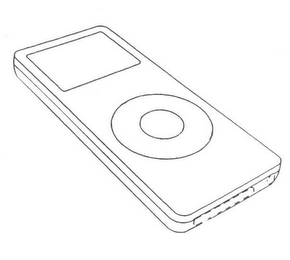 3,365,816, owned by Apple Inc.
 U.S. Trademark Reg. No. 4,981,318, owned by TBDUM, LLC. U.S. Trademark Reg. No. 4,021,593, owned by Apple Inc.
 U.S. Trademark Reg. No. 911,388 (expired), owned by Fotomat. U.S. Trademark Reg. No. 2,508,347, owned by The Rock and Roll Hall of Fame and Museum, Inc.
 U.S. Trademark Reg. No. 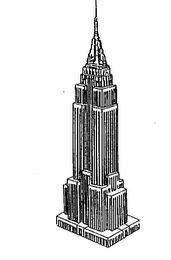 2,430,828, owned by ESRT Empire State Building. U.S. Trademark Reg. No. 3,128,649, owned by Chipotle Mexican Grill. U.S. Trademark Reg. No. 3,593,107, owned by the Solomon R. Guggenheim Foundation. U.S. Trademark Reg. No. 3,361,597, owned by Christian Louboutin. U.S. Trademark Reg. No. 3,411,881, owned by Twentieth Century Fox. U.S. Trademark Reg. No. 916,522, owned by NBC Universal. U.S. Trademark Reg. No. 1,395,550, Metro-Goldwyn-Mayer. U.S. Trademark Reg. No. 2,000,732, owned by Twentieth Century Fox. U.S. Trademark Reg. No. 2,442,140, owned by Oath, Inc.
 U.S. Trademark Reg. No. 2,692,077, owned by The Pillsbury Company. U.S. Trademark Reg. No. 2,519,203, owned by General Mills. U.S. Trademark Reg. No. 2,793,439, owned by Automobili Lamborghini. U.S. Trademark Reg. No. 1,975,999, owned by Columbia Pictures. U.S. Trademark Reg. No. 2,710,415, owned by Peabody Management. U.S. Trademark Reg. No. 5,467,089, owned by Hasbro. U.S. Trademark Reg. No. 4,618,936, owned by Verizon Wireless. U.S. Trademark Reg. No. 4,754,435, owned by Grendene S. A.
 U.S. Trademark Reg. No. 2,463,044, owned by Mike Mantel.